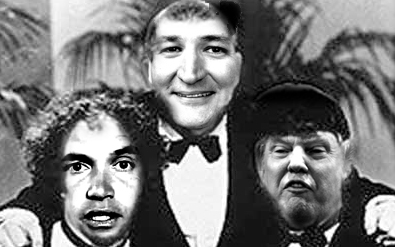 All Three Stooges, Polish Workers, Miami Cubans, City Wall Mongorians. Frank Zappa. 200 Million Dollars, Motorhead and Gerorge Carlin. Men sitting around Campfires. A Conflict of Interest and Plans. Your Owners, Obedieant Workers, and Education. 500 billion Dollars. Israel's not all right with knees. God almighty, Scripture Babble and Snoop Dog.